Crew members on a cargo ship bound for Australia made a very lucky escape from the same island where a US missionary was killed earlier this month when it ran aground in 1981. 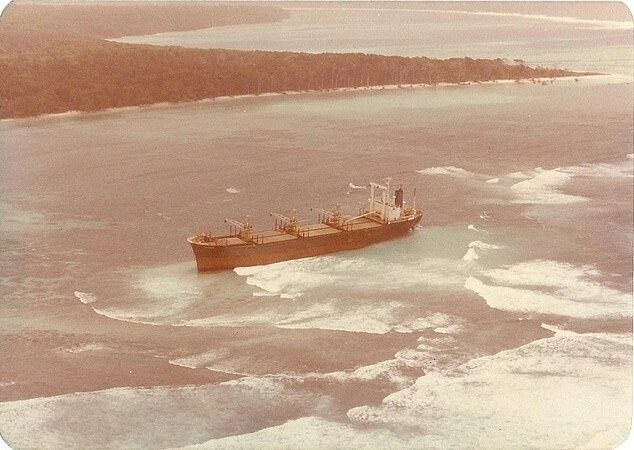 The Primrose was transporting chicken feed from Bangladesh to Australia when was hit by a terrifying storm around the Bay of Bengal on August 2, 1981. The 16,000 ton freighter and its 31 crew were thrown around for hours before running aground on a nearby coral reef shortly before midnight. 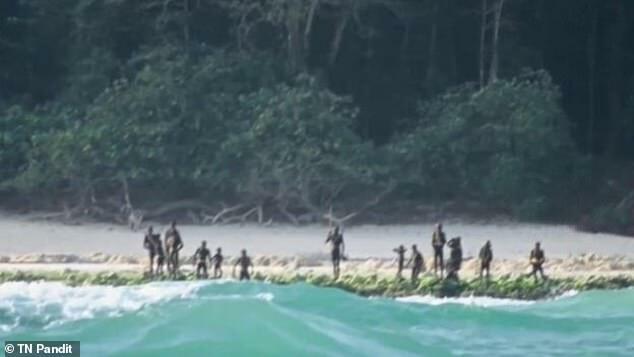 They had stopped close to the idyllic-looking North Sentinel Island but as the sea remained treacherous, Captain Liu Chunglong decided not to lower lifeboats and for crew to remain on board. 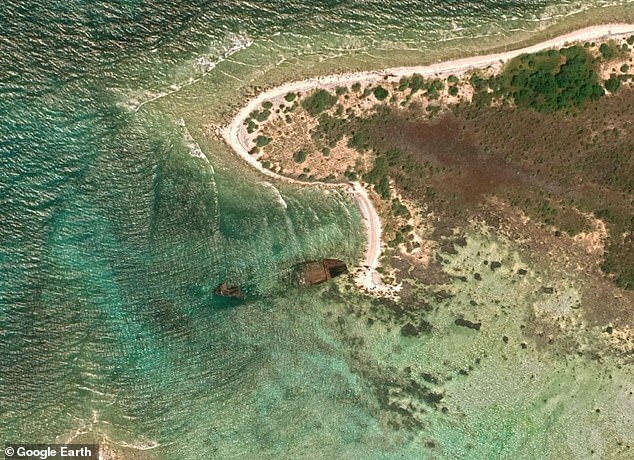 A report from the American Scholar in 2000 said that several days later, a Primrose crew member spotted movement on the island. ‘They were small men, well-built, frizzy-haired and black. They were naked except for narrow belts that circled their waists,’ reporter Adam Goodheart wrote. Captian Liu then made an urgent call to Regent Shipping Company’s offices in Hong Kong requesting an airdrop of firearms to defend themselves against the islanders. ‘Wild men, estimate more than 50, carrying various homemade weapons are making two or three wooden boats,’ his message read. 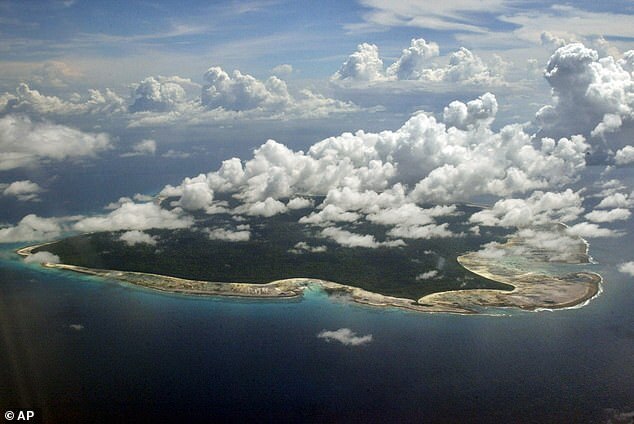 The same treacherous weather that had run The Primrose aground fortunately kept the Sentinelese at bay, but it also prevented rescue crews from attending the wreckage. ‘The crew kept up a twenty-four-hour guard with makeshift weapons – a flare gun, axes, some lengths of pip – as news of the emergency slowly filtered to the outside world,’ The American Scholar reported. Around a week later – and amid comments from a Hong Kong government spokesman that the ship’s radio officer had ‘gone bananas’ – the crew were rescued. An Indian Navy tugboat and helicopter picked up the crew members under the watchful eye of the onshore Sentinelese. The Primrose remains shipwreck off the north west of the Island and it is believed the islanders have since scavenged metal from the wreckage to forge weapons. 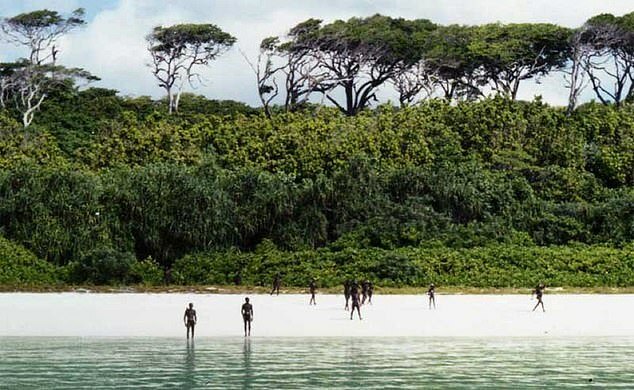 The Sentinelese are considered to be the last uncontacted peoples on the planet and they have consistently refused, often violently, any interaction with the outside world. Laws prevent people visiting the island to protect the tribe who could be wiped out by something as simple as the common cold as they have not been immunised. 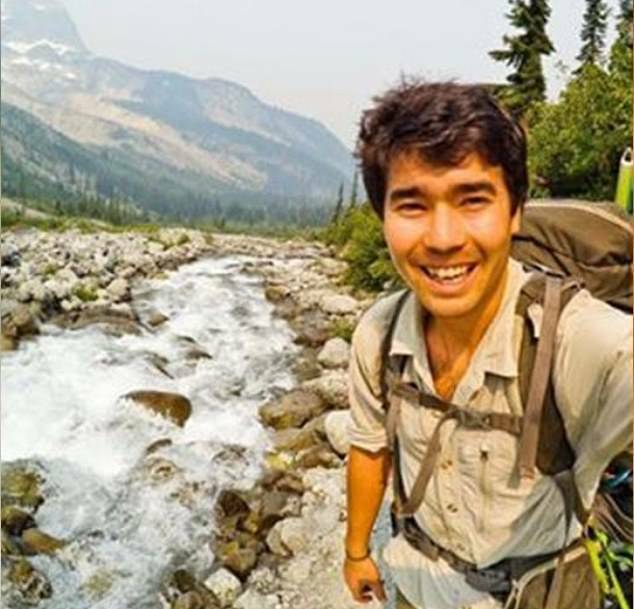 US missionary John Chau, 27, journeyed to the island on November 17 this year in hope of converting the islanders to Christianity. 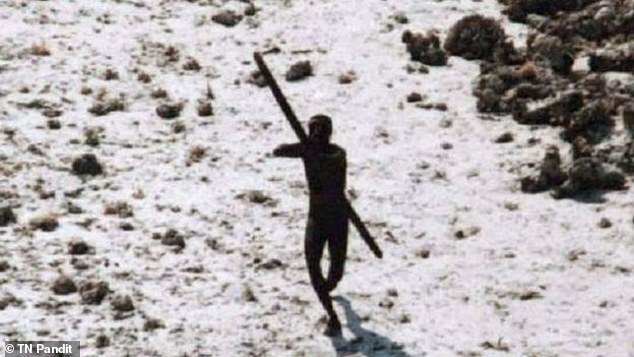 He was killed by the Sentinelese during a bow and arrow attack and it is understood the tribesmen buried his body on the beach. Anthropologist TN Pandit survived the hazardous voyage back in 1967, but his experience was somewhat different, claiming the Sentinelese were ‘peace-loving’ people. 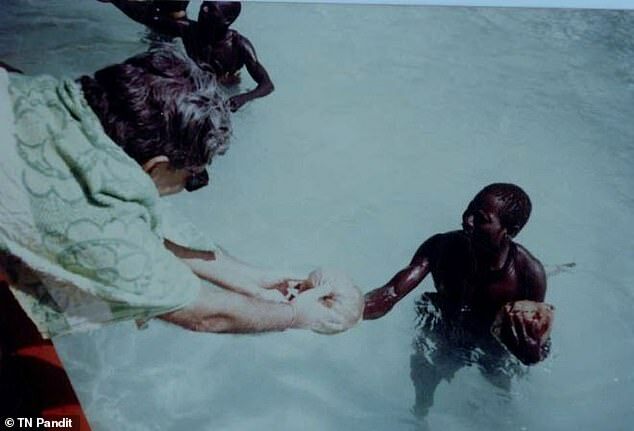 Anthropologist TN Pandit (pictured) survived the hazardous voyage back in 1967, but his experience was somewhat different, claiming the Sentinelese were ‘peace-loving’ people.